AB (1/2), 34″ (86 cm). Early bloom. Standards bamboo, darker veining, maroon flushed edges; Falls bamboo, overlaid at center brown maroon. ‘Imam Salah’ X ‘Jallah Effendi’. 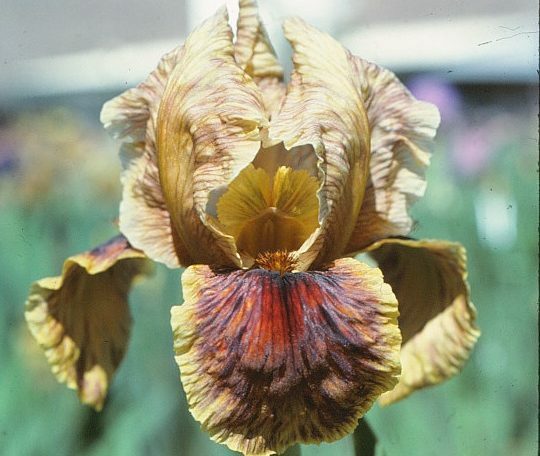 Sierra Vista Iris Gardens, 1972.